Step 1. First, you will want to use a tripod along with a smartphone mount like Reticam XL so your camera is not moving and won’t ruin your footage. Step 2. Lights, lights, and more lights! The way slow-motion works is by setting your camera’s shutter speed very high, this means that you are going to need as much light as possible to get the best slow-motion footage. 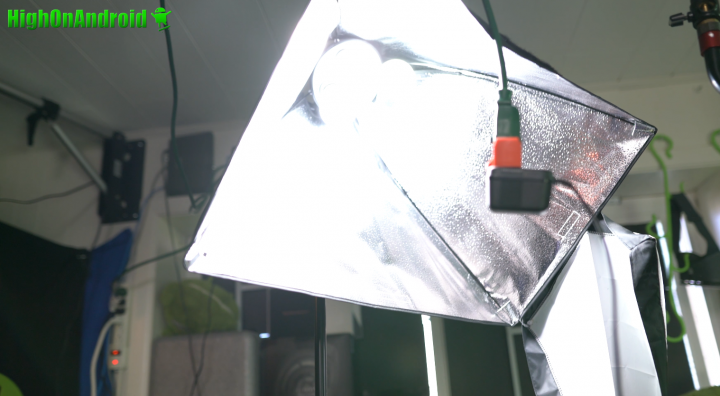 Shooting slow-motion in bright sunlight is a great idea or you can also use studio lights like I did. Step 3. 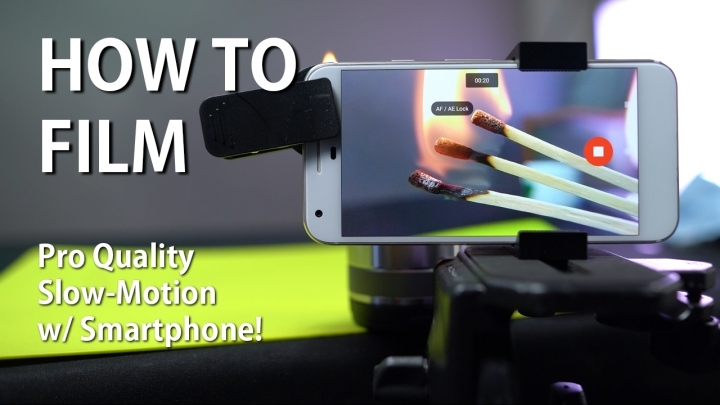 Set your smartphone to slow motion mode. 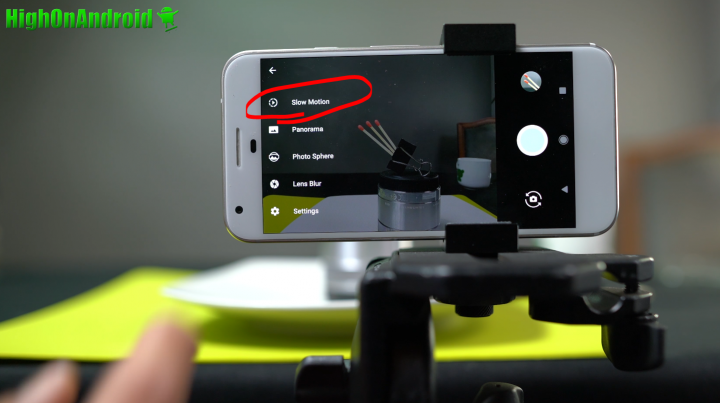 Most new smartphones these days come with this feature like Samsung Galaxy S7, S7 Edge, Pixel, LG V20, LG G6, just look for it in your camera app. Step 4. 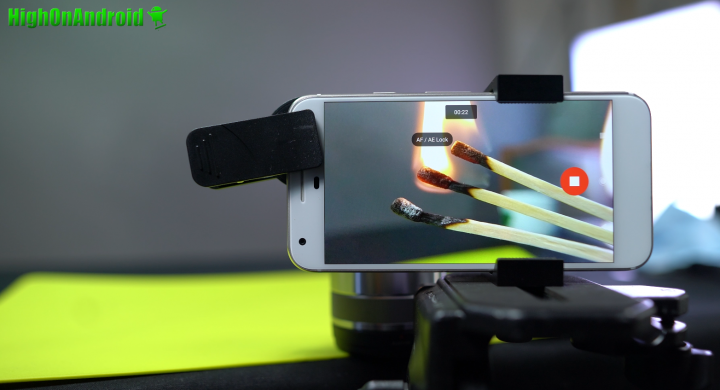 If you are doing small objects like the matches I am filming here, you can get a macro lens for your smartphone, which will magnify your video to get that nice close-up. 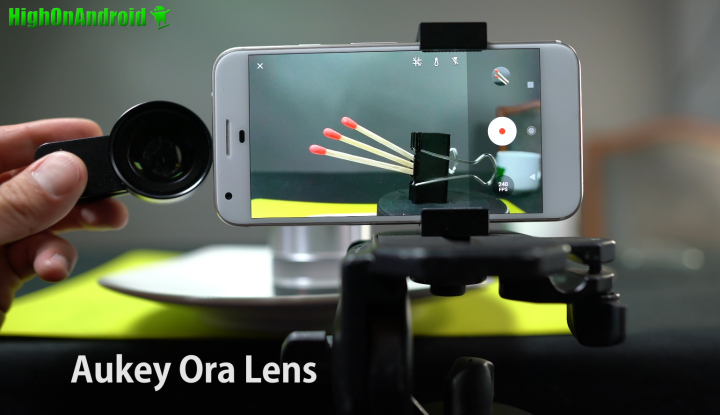 I recommend Aukey Ora Lens, which is the best macro lens I have tried. Step 5. VERY IMPORTANT! Make sure your subject is in absolute focus. 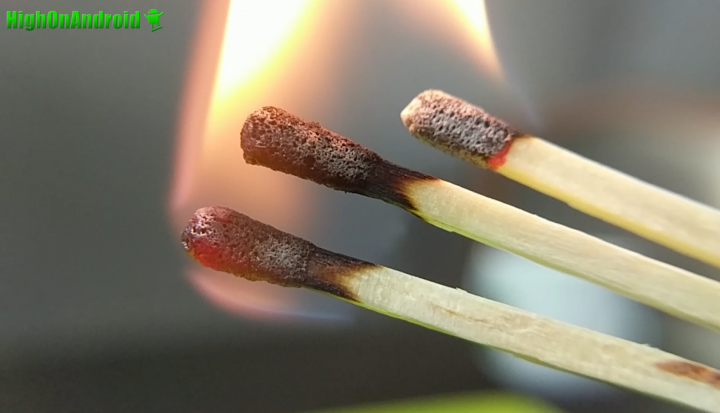 In this shot, you can see that all three matches are in perfect focus. To get perfect focus, make sure your camera is 100% perpendicular to your subject. To do this, adjust your tripod to get it just right. 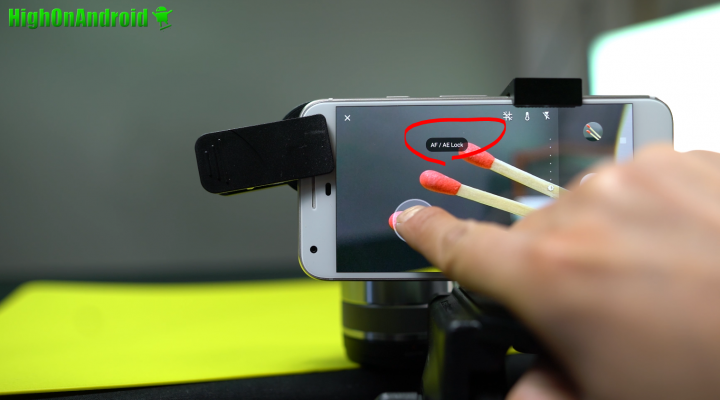 Once you have absolute focus, do a press-and-hold on where you want to focus and most camera app will go into “AF/AE lock” mode which is Automatic Focus/Automatic Exposure lock. 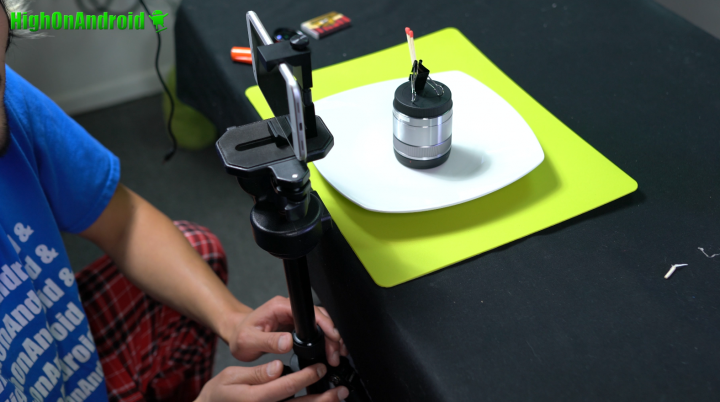 This will allow you to make the video without the camera trying to re-focus during the shot. Step 6. Once everything is setup the way you like, hit the record button! The results? Pretty amazing considering this was done on a smartphone. Next story Galaxy S8/S8+ vs. LG G6 Size Comparison! Previous story LG G6 vs. Pixel XL Video Camera Comparison!